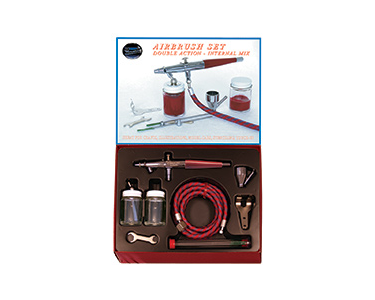 This model can achieve spray patterns from fine detail to broader coverage handling light, medium and heavy fluids all in one airbrush gun. Fluids are siphon fed from Color Cup or Bottle Assembly. Suitable for both left or right-handed users. The VL has a Tapered Socket for securing Bottle or Cup. Teflon packings. Recommended Air Pressure .5 to 1 CFM @ 20 to 45 lbs. depending on tip size and fluid being sprayed. Clean, dry air is essential for best results.